United States Mint bullion sales in August slumped to the slowest pace in more than six years for gold coins and pulled back from a sprint to a fast jog for silver coins. These changing levels occurred in a month that tends to be seasonally slower for bullion coins but also while silver prices soared by almost 20% and gold prices surged by more than 6%. Sales of American Eagle silver coins hit 3,625,000 last month, the second best August and the 12th strongest month in the 321 that have passed since the series debuted in October 1986. The level was down 17.7% from July’s 4,406,500 but it was also 26.3% higher than the 2,870,000 logged during the same time last year. For the January through August period, American Silver Eagles scored sales of 33,075,000, a mark that has only been reached in three other years. The 99.9% pure silver coins are on track for a nearly 50 million sales year. The annual sales record happened in 2011 at 39,868,500. Then, it took until October 1, 2011 for sales to reach where they are now. Last year, it took until December 10, 2012. 22-karat American Eagle gold coins limped in at 11,500 ounces, plunging 77.2% from July’s pace of 50,500 ounces and 70.5% from the year-ago tally of 39,000 ounces. Telling, last month’s total is the weakest since July 2007. U.S. Mint distributors did order every American Gold Eagle size, but totals for each were down and especially for the most popular one-ounce $50 Gold Eagle. It went from 43,000 in July to just 9,000 in August. Monthly increases for the one-half ounce ($25), one-quarter ounce ($10) and one-tenth ounce ($5) sizes were either the slowest of the year or tied for the slowest. August sales of American Buffalo gold coins ended at 10,000, down 45.9% from the prior month yet 11.1% higher than a year ago. Orders for the 24-karat gold coins reached 190,000 through the first eight months of this year. The level is 58,000 more than the 132,000 coins sold by the Mint in 2012. Overall and when considering its numismatic products, the United States Mint actually sold nearly similar amounts of gold coins in August as in July. While not a bullion coin, the Mint last month released a special 2013 Reverse Proof American Buffalo gold coin for collectors. It features the same specifications as the bullion version but sports a unique reverse proof finish that celebrates the 100th anniversary of the designs found on all American Buffalo gold coins. August sales of this special-edition coin reached 40,804. America the Beautiful silver bullion sales reached 19,000 coins last month, up 2,000 from the previous month. Sales pushed higher in the last week with the release on the 26th of the fourth 2013-dated ATB coin depicting Fort McHenry. 2013 Fort McHenry America the Beautiful Silver Bullion Coins launched on August 26 and ended the month at 10,300. 2013 Perry’s Victory America the Beautiful Silver Bullion Coins gained 2,800 in August, bringing its total to 23,600. 2013 White Mountain America the Beautiful Silver Bullion Coins added 1,300 in the month for a new total of 31,200. This year’s last five ounce release is scheduled for a November launch. Its design honors Mount Rushmore National Memorial in South Dakota. For the January through August period, ATB five ounce sales total 150,200 coins, or 751,000 ounces. That is well over the 118,100 coins, or 590,500 ounces, sold during all of 2012. In the following table is a listing of United States Mint bullion sales by product type, month and year-to-date. 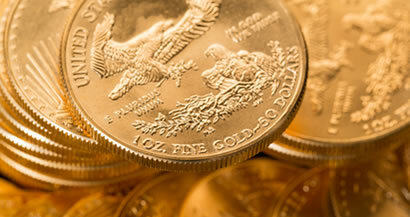 Sales totals are in the number of bullion coins sold, not in the amount of ounces. Sales above are aggregated from data published by the U.S. Mint on its website found here.